Ponzi schemes never generally start out as Ponzi schemes. Most Ponzi schemes begin as managed funds or hedge funds which generally purport to trade marketable securities, stocks, bonds, options, currencies, commodities or purport to employ some proprietary or otherwise fool-proof, disciplined trading strategy that generates profits or returns for investors. 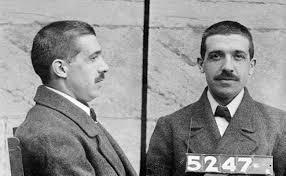 Other Ponzi schemes have included private loan portfolios, real estate, promissory notes, structured settlements, viatical settlements, tax liens, certificates of deposit, and a variety of other investments, which purport a history of higher than average rates of return with lower degrees of risk. That is how most Ponzi schemes begin. However, somewhere along the way, the funds are never actually invested, or drift into a series of unapproved investments, profits are a fiction, the funds suffer losses, or are laid waste by outright theft or misappropriation, and the funds obtained from new investors are needed to meet redemptions or manufacture returns for other earlier investors. Generally, once these obligations cannot be met, the scheme unravels or is discovered, the principals die, abscond, or are incarcerated, the authorities seize whatever assets are left, generally only a tiny portion of the assets invested, and the average victim stands little or no chance at making a reasonable recovery from a collectible source. However, sometimes investors do not find these schemes on their own. Sometimes registered investment professionals perpetrate these schemes. Sometimes registered investment professionals of other fiduciaries recommend or refer customers to invest in these schemes, or otherwise participate or facilitate these schemes, knowingly or unknowingly, generally to further their own economic or pecuniary interests. In very limited circumstances, victims of Ponzi schemes may have a viable form of recovery against these individuals and the otherwise solvent or insured entities with whom they are associated. However, courts and securities arbitration panels, have long held brokerage firms responsible for the conduct of their registered representatives in “selling away” cases based upon the broker-dealer’s failure to supervise. See, e.g. , Lustgraf v. Behrens, 619 F.3d 867 (8th Cir. 2010)(plaintiffs stated a claim for control person liability against a broker-dealer whose registered representative conducted a Ponzi scheme, even though the fraud was conducted through a third-party brokerage firm); Harrison v. Dean Witter Reynolds, Inc., 79 F.3d 609 (7th Cir. 1996), cert. denied, 519 U.S. 825 (1996)(broker-dealer liable for Ponzi scheme run by two registered representatives in Dean Witter’s Boca Raton branch office, despite that customers did not deal directly with Dean Witter in purchasing them); Jairett v. First Montauk Securities Corp., 153 F.Supp. 2d 562 (E.D. Pa. 2001)(broker-dealer “control person” liable for registered representative’s sales of mortgage interests through a wholly separate entity); Hunt v. Miller, 908 F.2d 1210 (4th Cir. 1990)(broker dealer responsible for registered representative’s sale of limited partnership interests sold away from firm); Martin v. Shearson Lehman Hutton, Inc., 986 F.2d 242 (8th Cir. 1993), cert. denied, 114 S.Ct. 177 (1993)(Shearson’s status as employer [of the registered representative] is sufficient to establish it as a controlling person); See also, In re Royal Alliance Assoc., Exchange Act Rel. No. 38174, 1997 SEC Lexis 113 (Jan. 15, 1997)(disciplining firm that failed to stop two branch managers from selling Ponzi schemes); In re Kolar, Exchange Act Rel. No. 46127, 2002 SEC Lexis 1647 (June 26, 2002) (suspending Dean Witter supervisor who failed to detect and prevent broker’s sales of investments, promoted as collateral-backed promissory notes); In re Kunz, Exchange Act Rel. No. 45290, 2002 SEC Lexis 104 (Jan. 16, 2002) (disciplining broker-dealer that failed to prevent broker’s sales of “Wholesale Mortgage Loan Participation Interests”); In re Consolidated Investment Serv., Exchange Act Rel. No. 36687, 1996 SEC Lexis 83; 52 S.E.C. 582 (Jan. 5, 1996) (suspending firm for failing to detect and prevent broker’s sales of $5 million of non-existent “Agency CD Notes”); In re Stuart, Coleman & Co., Exchange Act Rel. No. 38001, 1996 SEC Lexis 3266 (Dec. 2, 1996) (disciplining firm where branch manager had permitted registered representatives to sell fraudulent limited partnership interests, even though firm had explicitly refused written request for permission). If you have been the victim of a Ponzi Scheme, you need to consult with counsel to determine your legal rights.